Santa Banta Pvt Ltd Movie Review Rating: After a long time, Akashdeep Sabir is coming back in Bollywood with his movie ‘SantaBanta Pvt Ltd’. For those who don’t know, Akashdeep is the director of movies Ghaath (2000) and Miss 420 (2014). Both the films were not a hit on Bollywood hence all the hopes lies on Santa Banta. Earlier the film sparked controversy because some groups didn’t like of making jokes on Sikh Community but later the things got clarified. The movie had a great cast featuring Boman Irani, Vir Das, and Neha Dhupia. The story of SBPL is quite impressive but somehow you will feel that it was copied from the flick ‘Singh is Bling’ of Akshay Kumar. The same conceptual stories had a great buzz around the industry during the last decade. No matter what, Akashdeep had a great sense of humor which was well performed by Boman and Vir. After all, it took four writers to write the script and punches for the talkie named Asad Ajmeri, Paritossh Painter, Akashdeep Sabir, Lawrence John. 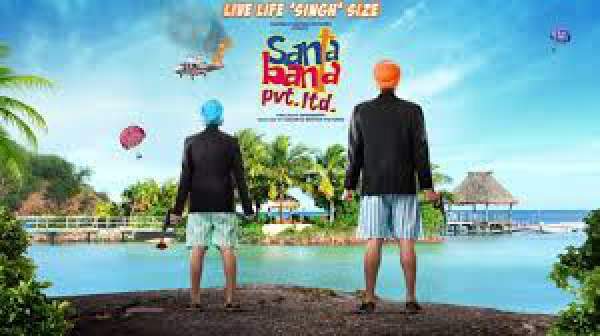 Two friends known for making everything hilarious, Santa and Banta travel to Fiji Islands in a case of mistaken identity, as Indian Spies.They were given a big responsibility to murder a gangster. They were later joined by the ladies in Fiji where they found a love of their life. In total 1 hrs 52 mins time span, the film doesn’t seem to be going boring at any end. But it also didn’t have any impressive storyline to be praised on. The movie is entirely light weighted timepass movie. TRT gives it 2.4 stars out of 5. If you have watched the movie, don’t forget to add your review here in comments. Stay tuned for latest Bollywood news and updates.